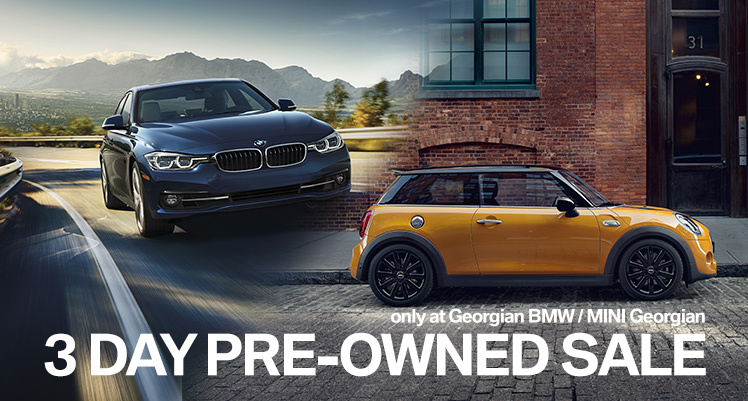 The Georgian BMW / MINI Georgian Spring Clearout Pre-Owned Sale is your chance to save on over 70 in-stock pre-owned BMWs and MINIs! From March 22nd - 24th, visit our showroom and take advantage of finance rates from 0.9%, free 5 year unlimited mileage BMW / MINI warranty and more! Make sure to book your appointment today!